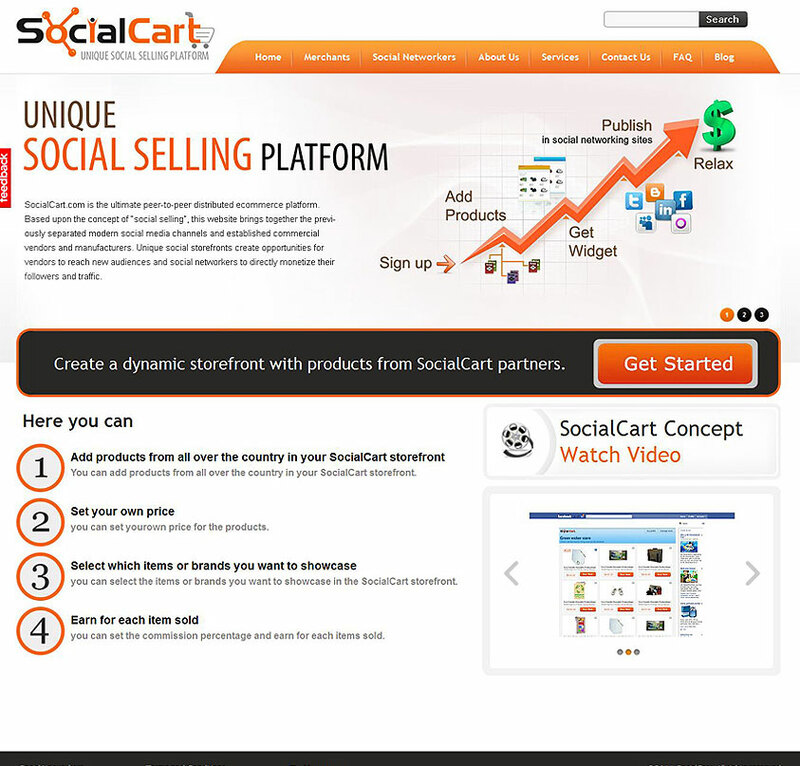 Social Cart is one of the first social commerce platforms. It enables merchants to reach new users through social channels like Twitter and Facebook. Social Cart is intended to increase user market reach through Social Cart’s network of thousands of storefronts all over the web and social graph. Social Cart helps to reach consumers through their friends and grows user business through the most popular social networking channels. In return for promoting products, brands, or merchants, users receive a percentage of revenue from sales as commission. 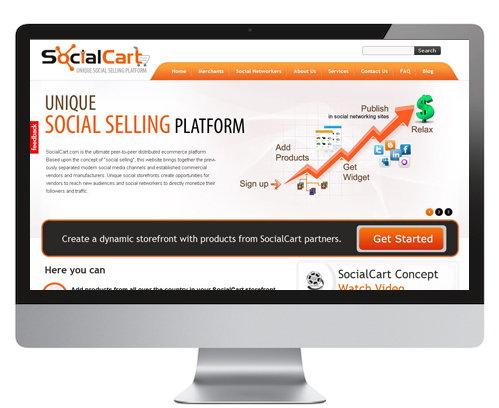 SocialCart is an innovative distributed social e-commerce platform. The free app helps to easily promote millions of products using Twitter and Facebook. SocialCart enables merchants to extend product sales to social networking sites through tens of thousands of social store installs. With just a few clicks, users can set up shopping carts that allow products to be promoted directly to friends and family within the welcoming confines of Facebook, Twitter, blogs or any other social media page. Users can comfortably purchase directly without leaving the website or adding more clicks to the process. Social networkers receive a commission when products are purchased through their storefront or a storefront they have referred. SocialCart is 100% free for vendors and networkers. The platform charges a percentage of sales and pays out a percentage to networkers on a pay-per-sale basis. The networker side of the application is integrated with the Facebook app, Twitter app and other social media channels used to spread viral promotions. In the backend, vendors have a feature-rich dashboard for managing inventory, networkers, resellers, staff, and orders. This was developed using a modified Armia MVC framework on a distributed server cluster. A large number of user transactions and data from tens of thousands of users (and millions of shares) were managed using Hadoop implementation and dedicated analytics servers.